1. I have another method (the one which worked for me anyway) br br 1) Take a small mirror like the ones girls use to makeup their faces. br br 2) Put the mirror in the center of the stereogram and locate some object far from you in my case a book in a bookshelf behind me. br br 3) Concentrate in that object and slowly try to move the mirror away or while looking at the object try to look at the stereogram with peripheral vision. br br 4) At some point you ll be watching funny things in the image look directly and enjoy. 2. I have another method (the one which worked for me anyway) br br 1) Take a small mirror like the ones girls use to makeup their faces. br br 2) Put the mirror in the center of the stereogram and locate some object far from you in my case a book in a bookshelf behind me. br br 3) Concentrate in that object and slowly try to move the mirror away or while looking at the object try to look at the stereogram with peripheral vision. br br 4) At some point you ll be watching funny things in the image look directly and enjoy. 3. Thanks Exelsus! Your method is pretty unusual but seems to be working. 6. I really apreciate the abundant info you have givne in your site. i am a fanatic of sterograms of all types. I hav ecreated many many sterograms but I woudl liek to knowwhich is the best software for creting the Depth Map. I want teh Graysclapalette shouldbe avilable on the screenalways so that Ican chose various levels to pint. I will thank you for your suggetion adn guidance. Incidntaly I am jsut steppinginto 78! 7. I really apreciate the abundant info you have givne in your site. i am a fanatic of sterograms of all types. I hav ecreated many many sterograms but I woudl liek to knowwhich is the best software for creting the Depth Map. I want teh Graysclapalette shouldbe avilable on the screenalways so that Ican chose various levels to pint. I will thank you for your suggetion adn guidance. Incidntaly I am jsut steppinginto 78! 9. 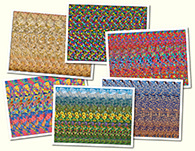 Is there a stereogram puzzle/maze online? There used to be a really good one but I cannot find it anymore. 10. Focus beyond the computer screen it helps if you find a reflection and stare at it for a minute or two! 11. The only way that worked for me was to cross my eyes until the picture was out of focus then slowly uncross them until part of the image came forward. When I focused on that part the rest appeared. 16. I am like the best person able to do these and I am only 11!!!!!!!! 17. 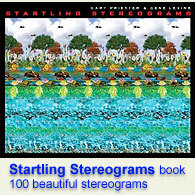 I wonder what is the most extreme stereograms one can produce? 18. I have the best method: br Just see to the image and then cross your eyes as cross-eyed people. You will see the image instantaneously. Good Luck. 19. I still can t find anything on a stereogram! I give up... Can somebody help me out? 20. then how you find out the hidden code???? 21. Sometimes if you unfocus your eyes bring your face really close to the image and pull away slowly it helps. 25. Where s the hidden code? 26. Too bad nothing is working for me no matter how hard I try. 32. I can see them now! Thanks for your help!